Product prices and availability are accurate as of 2019-04-21 13:33:26 UTC and are subject to change. Any price and availability information displayed on http://www.amazon.com/ at the time of purchase will apply to the purchase of this product. Introducing amFilm tempered glass screen protectors for your iPhone 8 Plus, 7 Plus, 6 Plus and 6S Plus. 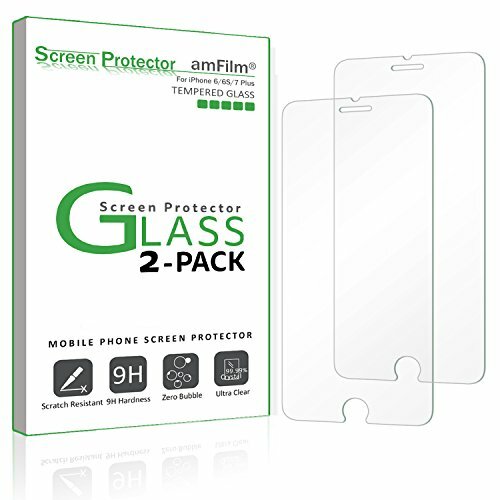 amFilm premium glass protectors are the latest in state-of-the-art screen protection technology. Highly durable and scratch resistant/chip resistant, this strong 9H (hardness level) Protector will provide your cell phone The best protection against drops, bumps, scratches and normal wear and tear. 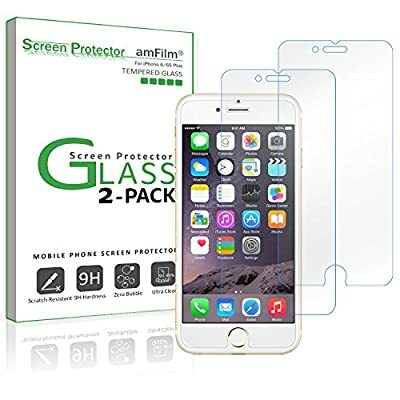 Get all the protection without any bulk - amFilm glass protectors are a mere .33mm thin making them ultra-light weight to allow for a 'delicate touch' Style Screen Protector that promises not to interfere with the sensitivity of your touchscreen. 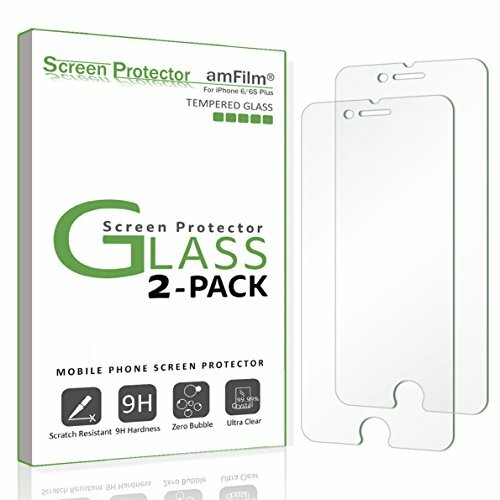 To top it all off the amFilm glass protectors are designed to be 99.99% Transparent to promote an optimal, natural, crystal clear viewing experience. 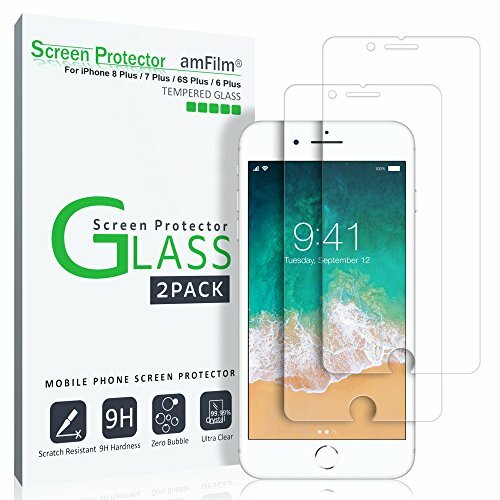 Backed by our easy install guarantee - simply align the Protector with your device and a simple swipe of your finger adheres the Protector to your screen.Please Note: due to the curved-edge design of the iPhone 8 Plus, 7 Plus, 6 Plus and 6S Plus, our screen protector is made to be a little smaller than the actual screen of your device. This is to prevent the Protector from overlaying these curved edges which can lead to unwanted bubbling and peeling up around the edges. Works with: Apple iPhone 8 Plus, 7 Plus, 6 Plus, iPhone 6S Plus (not For iPhone 8, 7, 6 or iPhone 6S) kit contains: 2x glass screen Protector, wet/dry wipes, squeeze card, installation use guide, dust removal stickers color: glass (ultra-clear) warranty: 30-Day money back guarantee lifetime Warranty Warranty applies to the purchased product. Restrictions may apply.